I haven’t posted to this blog in 5 years! Years! To be honest, I needed a break. I felt like I had exhausted my cooking repertoire at the time. I have made some changes since then. The past 20 months I have been a member of WW (formerly Weight Watchers Canada). I have lost 70 pounds (and counting). I have relearned how to treat food and have a much healthier outlook on cooking. I decided the best way to connect my WW life and my love of recipes was to pick up this blog again. We will see how it goes. Cook 1 pound of extra lean ground turkey. 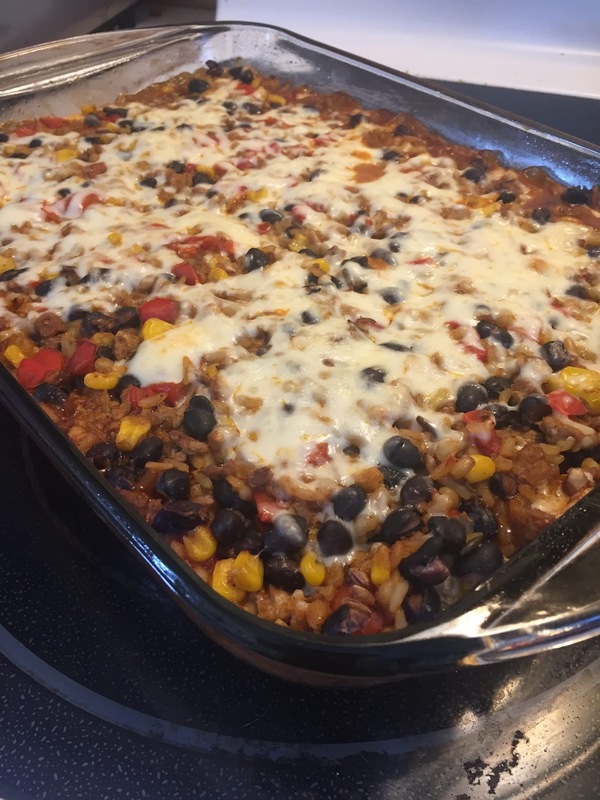 Add 1 diced onion, 2 diced red peppers, a can of rinsed black beans, a cup of frozen corn kernels. Season (to your liking) with chili powder, cumin, ground coriander and garlic powder. At the same time cook up your rice mix. I used uncle Bens 7 Grain Medley, enough to make 2 cups when cooked through. I added a little chicken bouillon (liquid) to the rice mix but you don’t have to. Once everything is cooked, mix together. Add 1 can of Enchilada Sauce. Mix in. Put everything into a 9x13 sprayed casserole dish. Grate a couple ounces of mozzarella on top. Bale for 20 minutes to half an hour at 350 degrees. 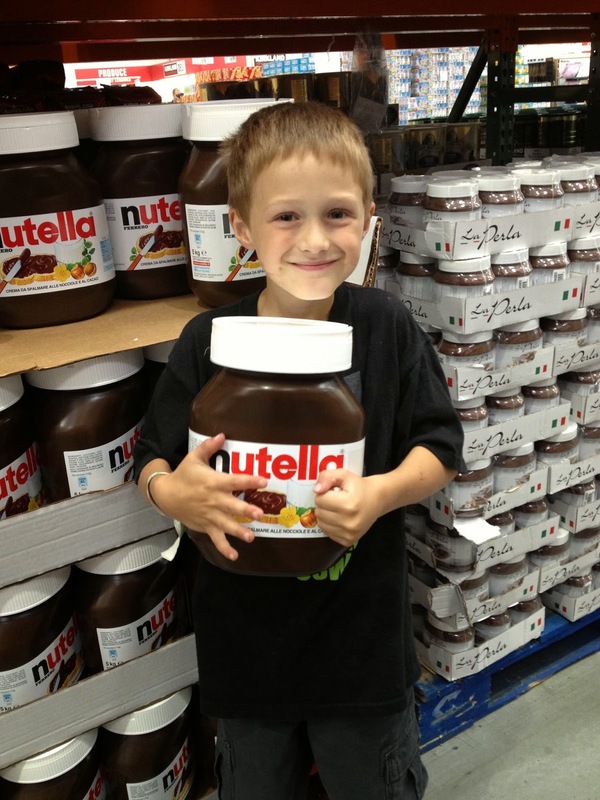 We have joked about the big jar of Nutella at Costco for almost a year now. It's huge. I mean, who really needs that much Nutella? When we first saw it my Nutella loving then 6 year old went crazy! You can see the "Please Mom!" look in his eyes. But, we didn't buy it. 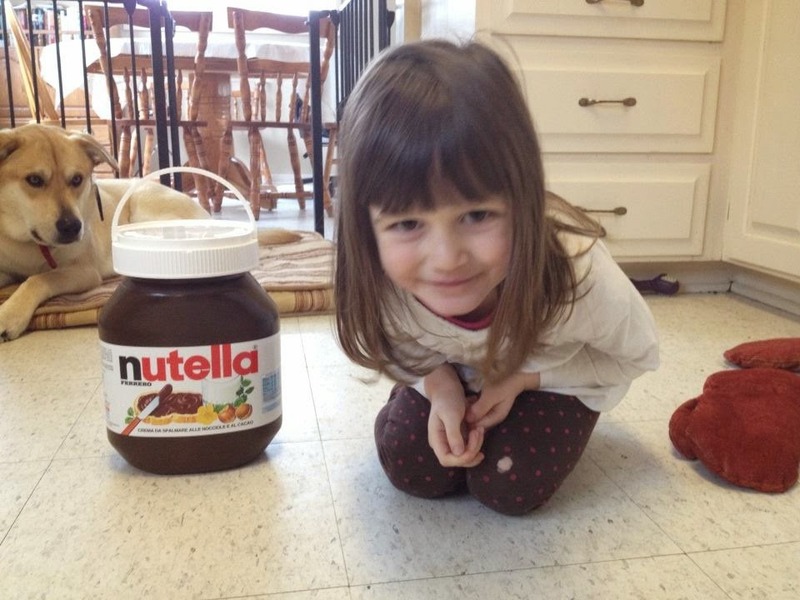 We really don't need that much Nutella. So you can imagine my surprise when in February my husband came home with one of those big jars. It was on sale. He figured out that even if we didn't eat through the entire jar of it, the sale price was better than buying the smaller jar of it. So my kids have been eating Nutella on toast, Nutella sandwiches, Nutella in their milkshakes...you get the idea. And now, I'm baking with Nutella. Here's a recipe for some absolutely delicious Nutella chocolate chip cookies. They didn't last long in our house. 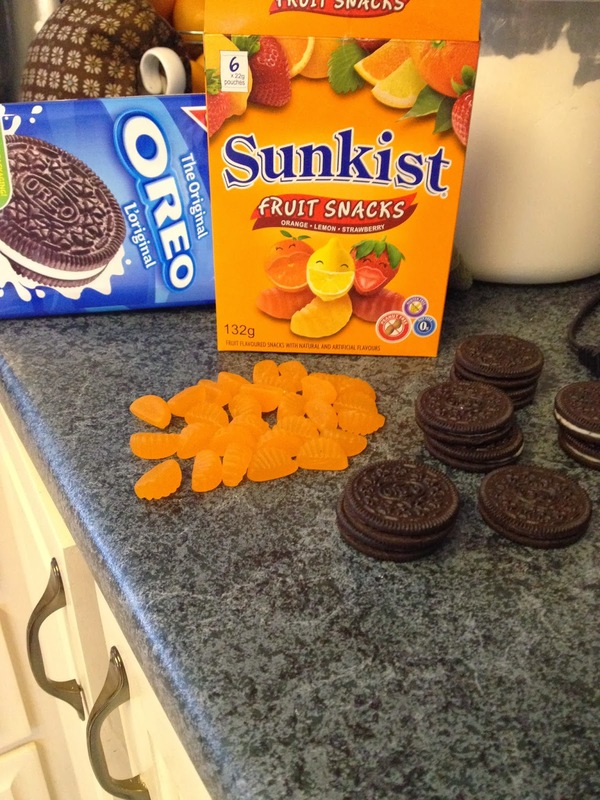 ...Oreos, chocolate chips and Sunkist fruit snacks. I opened the little packages of fruit snacks and took out all the orange ones. My kids snacked on the rest. I carefully opened up the Oreos, putting aside the cookie only part for later. 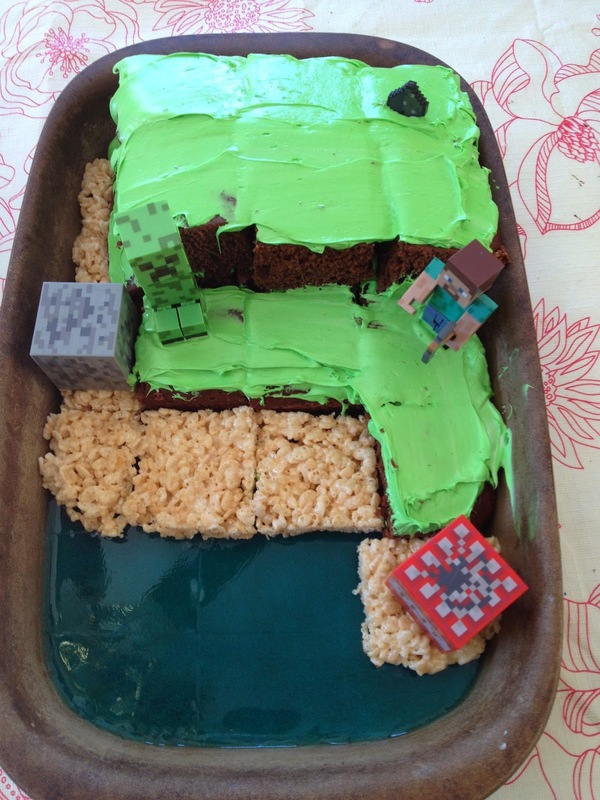 The icing part became the face base. I cut the fruit snacks into 3 pieces each. One piece became the beak. 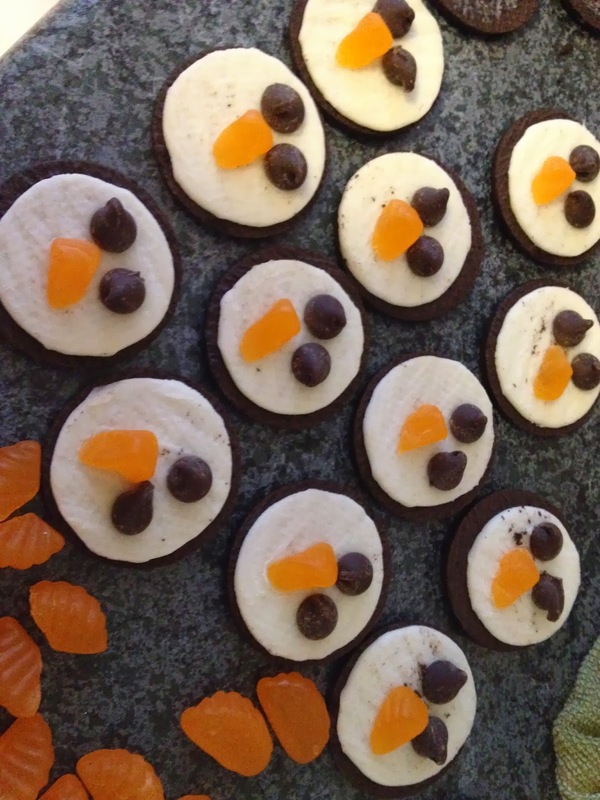 The eyes were chocolate chips. I carefully broke the cookie piece of the oreo in 2, these became the wings. 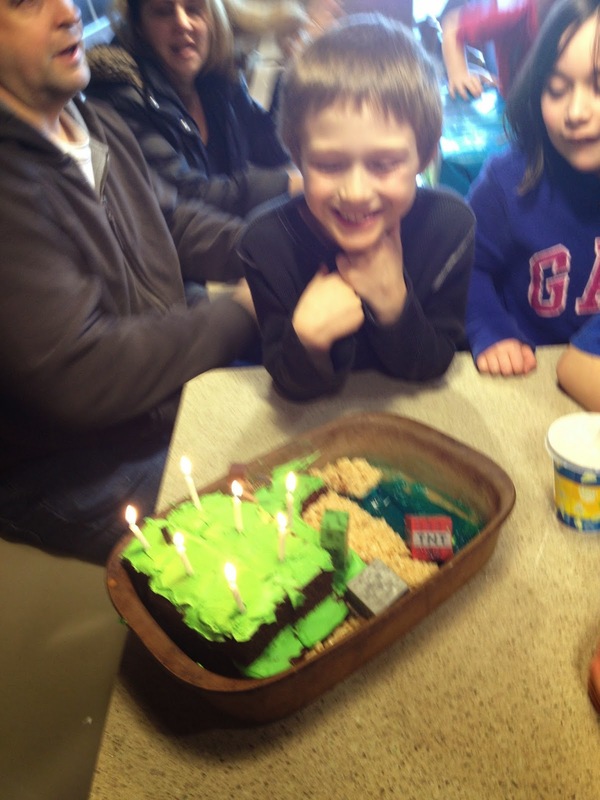 The trickiest part was making sure the pieces stayed sticking up. I used a knife to cut a slit to stick the pieces in, this worked. The remaining cut fruit snack pieces became the feet. I placed all the cupcakes on a foil lined tray and then sprinkled powdered sugar over everything to make it look like snow. Very cute and the kids loved them! Lots of Applesauce - or, what to do with all those apples you picked! Every year our family looks forward to going apple picking in the fall. It's a lot of fun, but we do come home with a lot of apples. They are absolutely delicious - nothing tastes quite a fresh as an apple right off the tree right? Look at them, aren't they gorgeous? I did make the usual array of apple pie and apple crisp. BTW - apple crisp with ice cream makes a fantastic surprise treat for breakfast for the family. But applesauce is the family favorite. Even my son who really doesn't like fruit, loves this applesauce. The apples all chopped up and ready in the cooking pot.